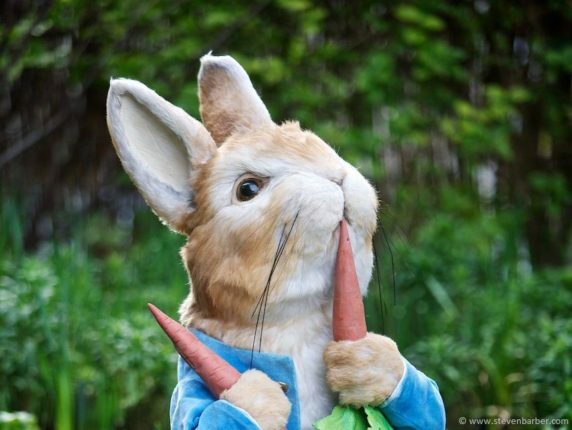 Were she alive today, Beatrix Potter – an influential founder and avid supporter of the English conservation movement in her lifetime, as well as the artist who brought us Peter Rabbit – would surely be thrilled to see Peter Rabbit inspiring international as well as domestic visitors to care for the beautiful landscapes, rich wildlife and cultural heritage that inspired his creator. Released in Japan in May this year, Peter Rabbit (Sony Entertainment 2018) made 1-1.1 billion yen in ticket sales and ranked second place in the first weekend box office rankings – the film’s popularity testimony to Peter’s enduring fascination for the Japanese public. As audiences in Japan recover from Peter’s latest charm offensive, the Lake District Foundation and more than 10 Japanese tour operators are celebrating eight years of success for the Japan Visitor Giving Scheme.  Set up in 2010, the Scheme supports conservation projects in the Lake District by raising funds through the support of tour operators bringing Japanese tourists to the region. The fundraising mechanism is simple: visitors who book a tour to the Lake District with tour operators participating in the Scheme are invited to make a £5 (approx. 700 yen at current rates) donation to the Lake District Foundation. Donors receive an original Peter Rabbit pin-badge as a thank you for the donation, and the rest of the funds are distributed to chosen projects in the Lake District. These have included restorative work at Wray Castle – one of many childhood summer homes for the Potter family when Beatrix was a young girl – and an important off-road path which helps visitors of every nationality, Japanese included, to travel on foot and by bicycle, safely and sustainably, to Hill Top Farm – a 17th century stone farmhouse bought by Beatrix Potter in 1905, and the place where she wrote many of the “little picture books” for which she is known. The scheme has raised £116,125 (approx. 16,778,000 yen at current rates) to date, thanks to the generosity of Japanese donors and the support of the participating tour companies, which include Miki Tourist, JTB World Vacations Inc., Hanshin Friend Tour and the Global Youth Bureau. Lake District Foundation Director Sarah Swindley says: “We know that the Japanese public love the Lake District and we are delighted and grateful that they are helping us to care for the landscapes, wildlife and cultural heritage that inspired Beatrix Potter, for all to enjoy.” This love stems in part from Peter’s popularity with generations of Japanese schoolchildren, as well as the fact that Beatrix Potter’s stories are easy to read, rooted in nature, kawaii (cute), and quintessentially English. Japanese and Chinese visitors comprise a large part of the some 2.6 million overseas visitors flocking to the Lake District each year (Cumbria Tourism, estimated figures for 2016) – female Japanese visitors in particular visiting the area to soak up the Peter Rabbit ambience as well as see other attractions like Dove Cottage in Grasmere, once the home of William Wordsworth. Were she alive today, Potter – an influential founder and avid supporter of the English conservation movement in her lifetime, as well as a shrewd creator and marketer of Peter Rabbit goods – would surely be delighted to see Hill Top Farm a top visitor attraction and Peter Rabbit fostering a love not only for cuddly toys, stationery, plates, keyrings and other souvenirs featuring his image, but an enduring love for and support of the green fields, fells and valleys in which Peter and his siblings would have played. As the film shows, Peter Rabbit had many friends who were imagined and created by Ms Potter: Mrs Tiggy-winkle, a hedgehog, and a pig called Pigling Bland among them. Absent from the cast is a particular young red squirrel called Squirrel Nutkin – beloved by generations of British schoolchildren for his antics on Derwentwater, where he paddled out by raft to St. Herbert’s Island (Owl Island in the tale) with other squirrels, spreading out their red bushy tails as sails. Red squirrels are a small native woodland mammal, found mainly in wooded areas in the north of England, western Wales and parts of Scotland, threatened with extinction for decades owing to competition from the invasive non-native American grey squirrel introduced to the Britain in the 1870s. Greys out-compete red squirrels for food in deciduous and mixed woodlands and transmit a virus that is lethal to red squirrels. Today, there are estimated to be only 140,000 red squirrels left in Britain, with over 2.5 million greys. Little surprise, then, if few British children will have ever seen a red squirrel outside of picture-books, television or wildlife centres. There is hope for the red squirrel, however, thanks to the efforts of local and regional conservation groups working hard to control grey squirrels and support reds in their natural habitat. Red squirrel numbers are rebounding in the Lake District and Cumbria, and these shy creatures can now be found in woods on the banks of Derwentwater again, presumably contemplating their next big adventure to Owl Island. The Lake District Foundation recently made a grant of £6,067 to local red squirrel conservation groups, which will be used to support conservation rangers, red squirrel feeding stations and monitoring surveys that help to inform future conservation work. To help us care for the breath-taking landscapes that are home to Peter and his friends with a donation please visit www.justgiving.com/lakedistrictfoundation or contact Tracey Gannon, our International Partnerships Coordinator by email at [email protected] or phone +44-1539-822622.